Students from Smith and Wheat Middle School were among the performers at the October 27 All-Region Choir Concert. More than 35 middle schools and 700 students participated in auditions for the Region 30 contest held at Fossil Ridge High School. Students from Smith Middle School named to honor ensembles within the All-Region Choir include eighth grader Ali Bounds, awarded first chair in the Select Treble Choir, with Lizbeth Alegria, placed in the tenth chair. 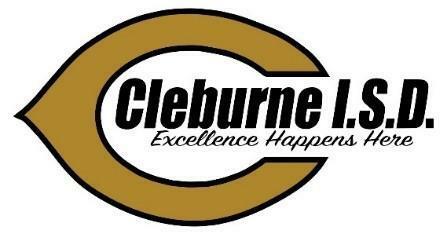 Select Choir members also include Kylie Montgomery, Noelia Sanchez, Sheridan Walker, Siya Patel and Jetta Roye. Eighth grader Emmorie McDaniel was awarded third chair in the Honor Treble Choir. Smith students performing with the All-Region Tenor-Bass Choir are Aidan Binkley, Miguel Sanchez, Zane Thomas, AJ Robles and Kennan Rigoulot, who was also a member of the 2017 All-Region Choir. The students are under the direction of Aimee Foster, who is in her first year with the Smith choir program. Wheat MS students named to the All-Region Choir include Nevaeh Rodolfo, Isaiah Diaz and Emma Botkin. 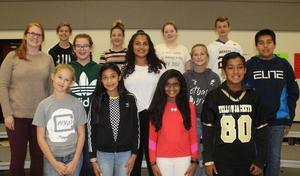 These Smith Middle School students have been named to Select Honor Choirs, following All-Region Choir auditions. Pictured with Choir Director Aimee Foster are Ali Bounds, Lizbeth Alegria, Kylie Montgomery, Noelia Sanchez, Sheridan Walker, Siya Patel, Jetta Roye, Emmorie McDaniel, Aidan Brinkley, Miguel Sanchez, Zane Thomas, AJ Robles and Kennan Rigoulot. 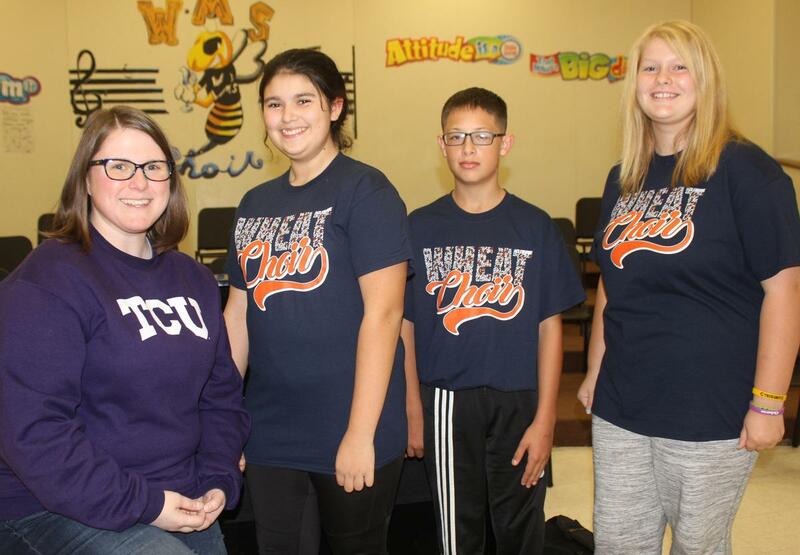 Wheat Middle School students Nevaeh Rodolfo, Isaiah Diaz and Emma Botkin will be performing in concert Saturday as members of the All-Region Choir. The students were among students in Region 30 selected for the honor choir following auditions. Also pictured is Wheat Choir Director Kathryn Stallings.